What Does a New Study Reveal that Can Help You to Lower High Cholesterol? A recent study published in the European Journal of Lipid Science and Technology reveals a “new type” of salt that eliminates the bad effects of high cholesterol. 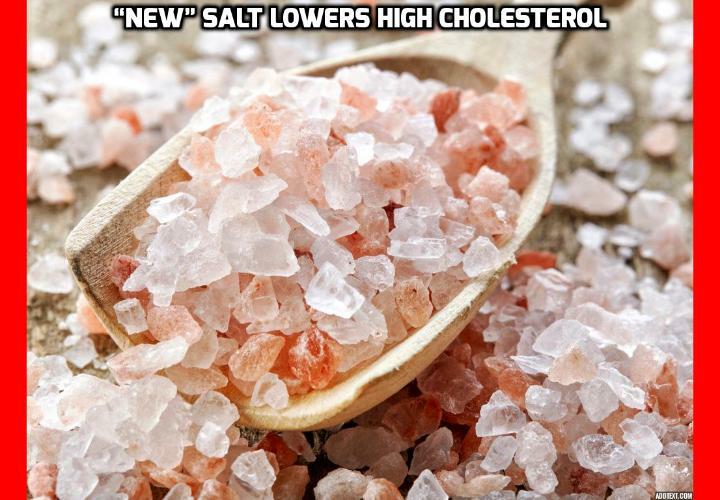 Even better, you have everything at home or in your local supermarket to make this “new type” of salt that can help you to lower high cholesterol. And with that, you don’t even have to worry if your cholesterol is high or low. Cholesterol is mainly unhealthy because it is easily oxidized (or you could say goes rancid) in your body. Your immune system is incapable of removing this rancid fat from your blood vessels, which causes it to lodge in your arterial walls where this hardening fat and the inflammation that accompanies it do a lot of damage. Researchers have just conducted a new study on sea salt mixed with Mediterranean herbs and fruit as a way to prevent oxidation of cholesterol. They did not do their study on people, because they did not think they could obtain sufficiently detailed information on cholesterol inside the body. Instead, they applied normal salt and the sea salt mixture to cholesterol cells in the laboratory to see which was capable of preventing cholesterol oxidation. Salt is known as an antioxidant, which is why so many food manufacturers load their foods with it. The sea salt flavored with myrtle, rosemary, and a mixture of other herbs was much better at preventing cholesterol oxidation than the normal salt was. If you want to lower high cholesterol without medication, you can easily make this mixture at home. Just blend a normal sea salt (or Himalayan salt) with some rosemary and myrtle spices. You don’t have to worry about the quantity, just whatever your taste butts like. Even more importantly, finally scientists are catching up on the real problem of cholesterol and your heart. To find out more about this program, go to How to Lower High Cholesterol Level Without Expensive Medication. Previous PostPrevious Why Losing Weight Quickly Can Cause Heart Problem?